With summer finally here, it’s time to take the grill out and enjoy some outdoor cooking and dining. 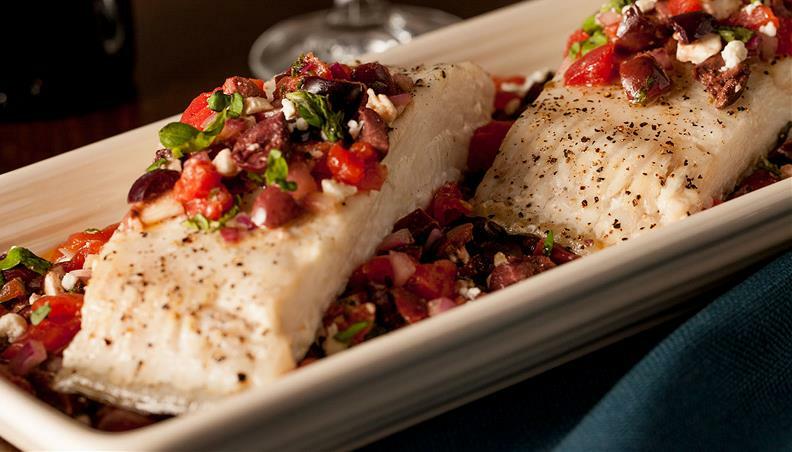 Here’s a delicious roasted halibut recipe from Red Gold Tomatoes. It features grilled halibut filets served with a Greek relish which uses their petite diced tomatoes. Enjoy! Pre-heat grill to 400 degrees with indirect heat. Place seasoned halibut on grill and roast for 8-10 minutes or until the fish just begins to flake. This summer, Red Gold is encouraging home chefs to grill with its tomatoes and from June 24th through July 22nd, they are hosting their Summer Grillin’ Party on their Facebook page with weekly prizes.